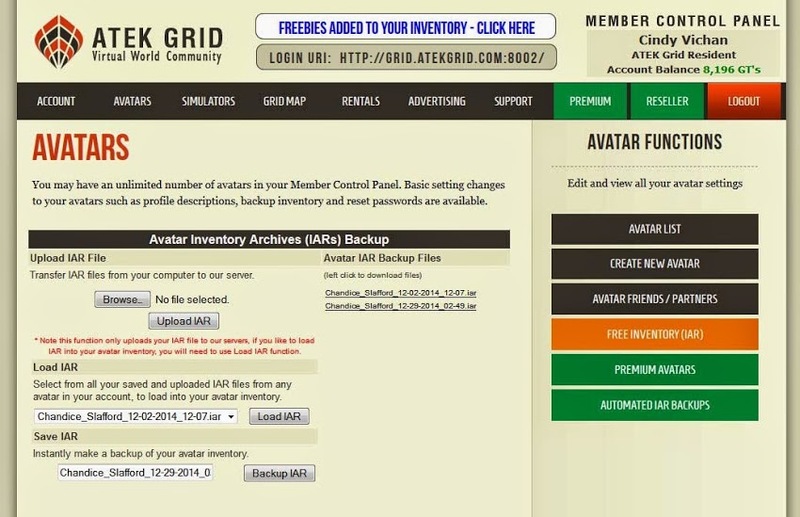 A third grid�also offers�the ability to upload and download avatar inventories — the Atek Grid, backed by� 3D Virtual Web, Inc. and CloudServe, an OpenSim hosting company. 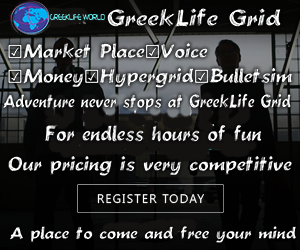 The other two grids are the UK-based magic-themed grid Spellscape and Metropolis, an open grid based in Germany. An inventory backup, also known as an IAR export, allows a grid resident to save their entire inventory to their hard drive. 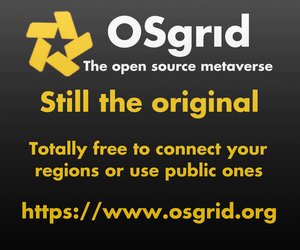 However, unlike the other two grids, only a fully IAR backup is currently available. Spellscape and Metropolis both allow users to export individual folders from their inventories. But that functionality is coming. “We will offer folder selection and some permissions control in our next update which we are testing now,” Harris said. Spellscape, a commercial grid, currently filters the inventory exports so that users can only export their creations and full-perm items. Spellscape donated the filtering code in September. This allows creators to decide whether their content can be exported, or must stay in the grid. Metropolis, an open grid, does not filter inventory exports. Inventory backups, or IAR files, don’t just provide protection in case of a grid outage or inventory problems or loss of access to a user account. They also allow their users to move their avatars from one grid to another. In addition, individual folder exports allow users to share content in a standard way. This allows online sales of content, for example. The chief alternative to IAR files, XML exports, does not support scripts, and can be used for only one object at a time. In addition, XML exports are non-standard and an object exported with one viewer might not be imported correctly with a different viewer.